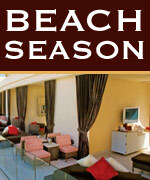 Best Ever Mandalay Bay Sumer rate….. Get Down to the Las Vegas Beach !! Very short post here but I have just got this amazing rate for Manadaly Bay, Las Vegas this is the best Summer rate i have ever seen for this up market resort which boasts the best pool in Vegas. Its fom $99.99 you get al host of extras included. Rates from $99.99 a night. $50 off midweek cabana rental (Monday – Thursday)20% off select restaurants: Border Grill, Charlie Palmer’s Steakhouse, Fleur de Lys, Mix, Rick Moonen’s Seafood and Shanghai Lilly.